Robert Gibbs, former White House press secretary. 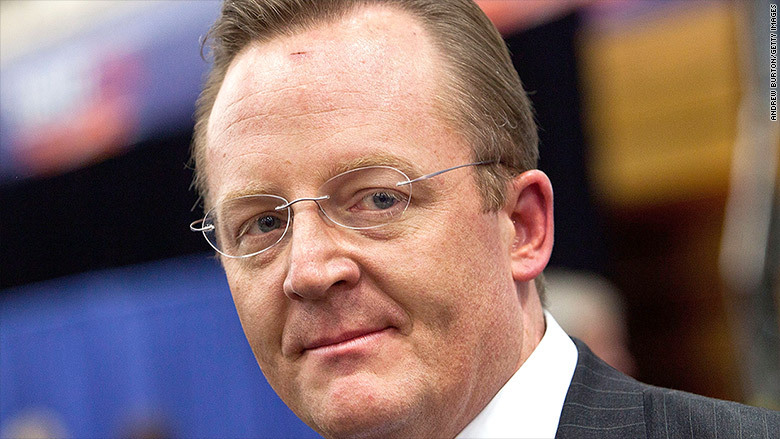 President Obama's former press secretary Robert Gibbs just got a job at McDonald's. Gibbs will be the fast food chain's PR chief. McDonald's (MCD) said that Gibbs' official title is executive vice president and global chief communications officer. Gibbs worked for Obama during his first term as president and he was also a senior campaign adviser during the re-election campaign. After he left the administration, Gibbs joined the Incite Agency, a communications advisory firm he co-founded in 2013. Gibbs is taking the helm as McDonald's is struggling to compete with gourmet burger rivals like Shake Shack (SHAK) and Habit Restaurants (HABT). Sales have slumped in recent months and the stock has lagged behind the broader fast food market, populated by other brands such as Chipotle (CMG) and Panera (PNRA). Last month, the new CEO Steve Easterbrook announced a turnaround plan, admitting that the company's recent performance has been "poor" and "the numbers don't lie." In addition to a restructuring that would eventually save the company $300 million annually, Easterbrook wants to improve the quality of the food and jazz up its brand image. Gibbs replaces Bridget Coffing, who is retiring after 30 years with McDonald's. In conjunction with Gibbs, McDonald's also hired a chief marketing officer as it tries to enhance its brand. Silvia Lagnado was appointed executive vice president and chief marketing officer. She was formerly chief marketing officer for Bacardi Limited. "Robert and Silvia are both highly respected, talented leaders who will bring a wealth of experience and outside perspective to McDonald's as we build a more modern, progressive burger company," said Easterbrook, in a press release.